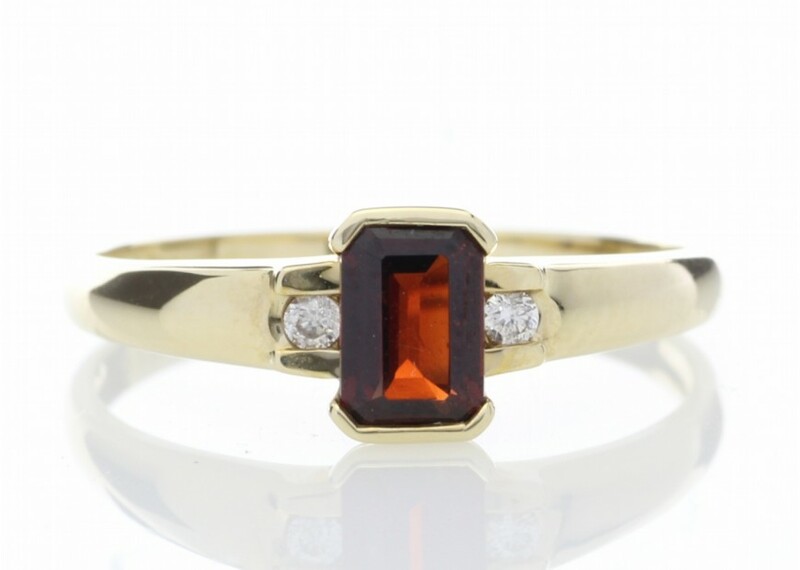 An emerald cut garnet sits between two round brilliant cut diamonds on this 9 carat yellow gold ring. This unique ring will add a touch of sparkle to any outfit. It is a fabulous accessory for every occasion, and also makes the perfect gift. 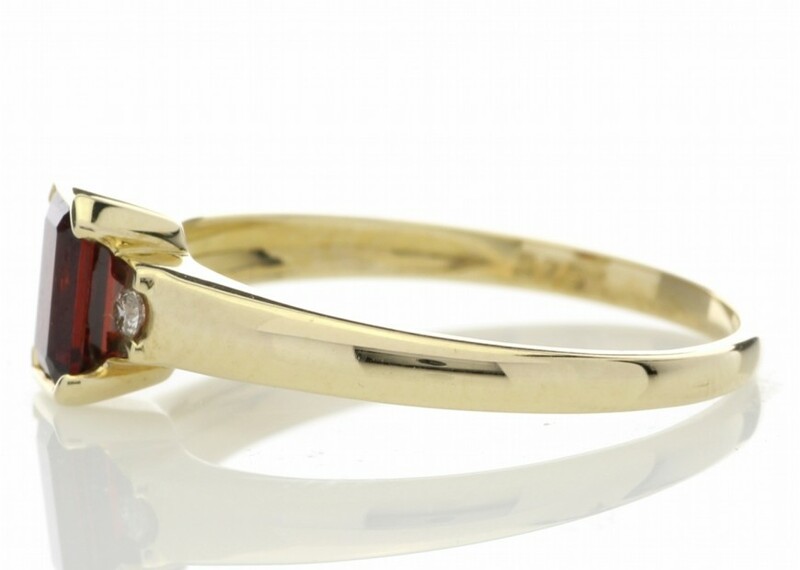 The Garnet crystal helps us feel grounded and connected to the present moment. Garnet healing crystal properties bring warmth to the system, which improves circulation on a cellular level while warming the heart like puppies in a cuddle puddle. 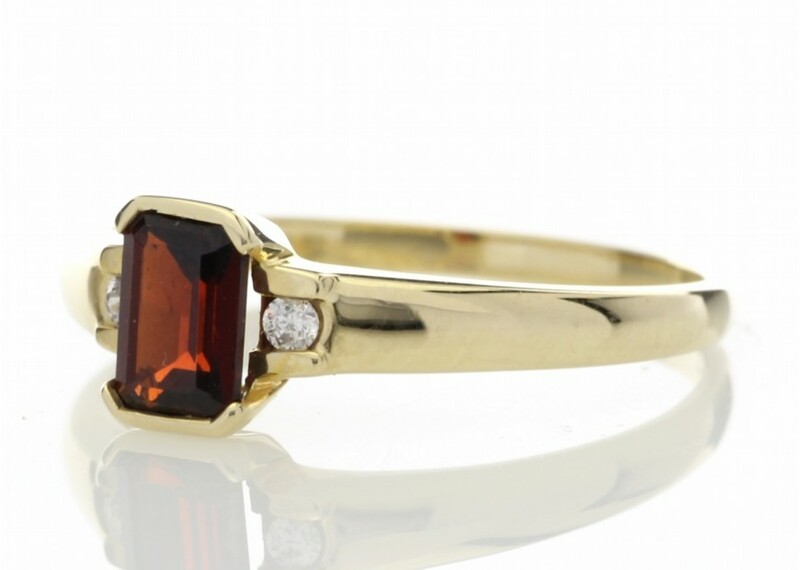 If you're in a relationship, use Garnet crystal properties to deepen your romantic love. 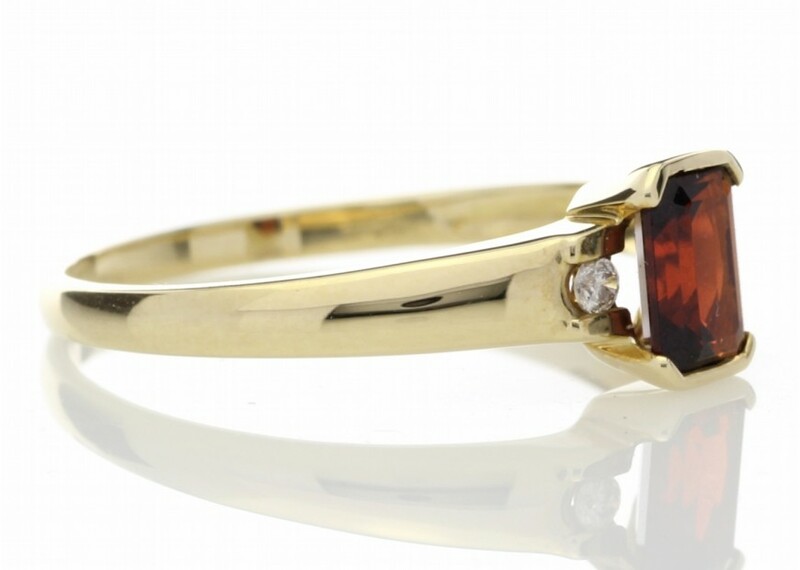 If you're single and ready to mingle, Garnet is a gem at enhancing the laws of attraction.